Nitrous oxide. Also called laughing gas, this gas is inhaled for an immediate relaxing, giggly feel. Oral conscious sedation. A small tablet is taken about an hour before treatment that will fade your memories of the procedure. IV sedation. 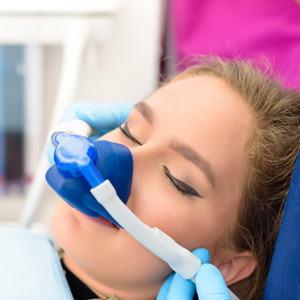 A sedative solution is administered intravenously by a specially trained dental anesthetist. We’ll provide ample time for your procedure and all explanations before starting. Your dentist will support you through making the right decisions for you. With years of helping anxious patients, we deliver the highest standard of care. Flexible appointments and various payment options are available.